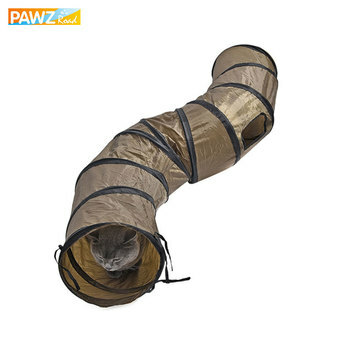 This tunnel is one of the most sold. The tunnel is actually 2 tents connected with a tunnel. 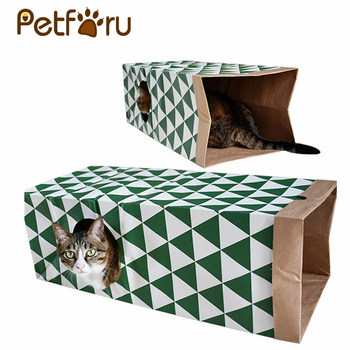 Cats love to play and rest in it.
. Made from high-quality two-double kraft paper, is thick and durable to use.
. Folding style makes the item easier to store, save area when not use.
. Not just a toy, but also establish cat intelligence improve the interaction between you and your cat.
. A great assistant to help you let your cute feline well-behaved and have enjoyable. 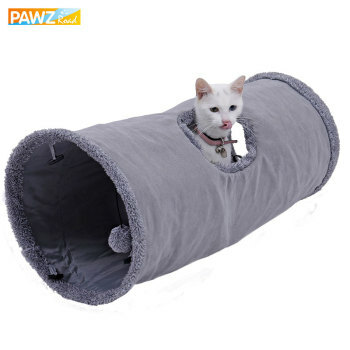 Cats are having fun with the tunnel for enjoyable and rest themselves in there, and they can even play hide and look for inside. -Folds easily and takes a small place when you want to store it when not in use. 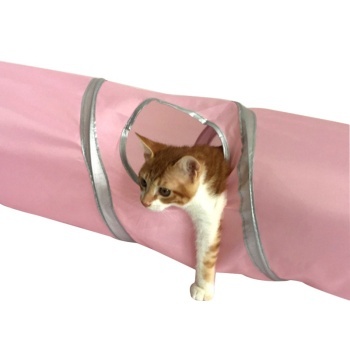 * Large space, ideal for a size of cats, a long tunnel for cats that can be hiding, resting and playing in it. * Collapsible, simple to tidy, save area. 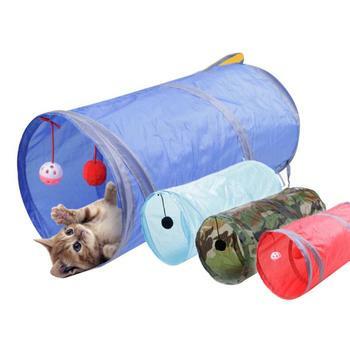 Your cat will probably love this luxury tunnel. 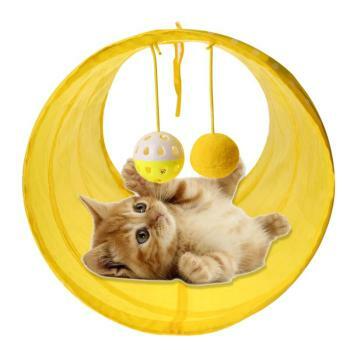 It is made of steel frame, Suede Material, Soft And Durable. 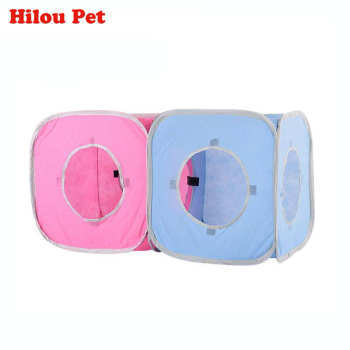 1, after the tunnel folding, the volume is extremely small, simple to bring travel. 2, 2 tunnels can be connected through buttons, longer and more interesting.